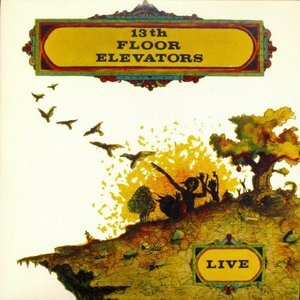 The 13th Floor Elevators were an American rock band from Austin, Texas, which existed from 1965 to 1969. During their career, the band released four LPs and seven 45s for the International Artists record label. 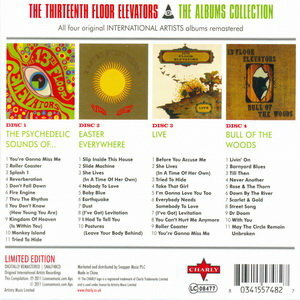 This 4x discs set contains all four of the original Elevators albums that were released on the International Artists label from 1966 to 1968, remastered and collected in a clam box with extensive new notes by band expert Paul Drummond. In addition to the stereo versions of the three 'studio' albums, which were remastered and remixed from the original tapes in 2007 by the original producer Walt Andrus, the set also includes a completely new mix of 1968's "Live" album, minimizing the fake applause that was added to the recordings and removing glitches that blighted previous versions. 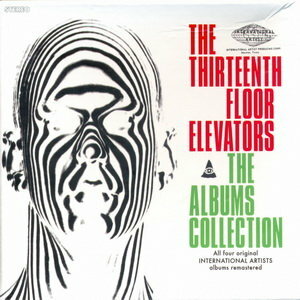 allmusic.com says:The 13th Floor Elevators were one of the pioneering bands of psychedelic music; many have cited them as the first true psychedelic rock band, and if they weren't, they certainly predated most of the San Francisco bands that gave the sound a global audience. The Elevators played a bracing fusion of garage rock and genre-defying musical exploration powered by Roky Erickson's feral vocals and rhythm guitar, Stacy Sutherland's concise but agile lead guitar work, and Tommy Hall's amplified jug playing, the latter of which gave them a sound unlike any other in rock. The Elevators were also exploring the outer limits of both consciousness and rock & roll in Texas in the early to mid-'60s, a time and place that wasn't quite ready for them, leading to the myriad problems that at once fueled their legend and cut down the band before their time. all tracks were digitally remastered. 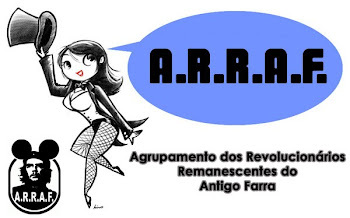 The archives are interchangeable. Where "L" is lossless, "M" is MP3's, and "Sc" is full PNG scans. all thanks goes to ALLexxess!